Apex Window Films selection of DIY decorative privacy window films - this collection of our best vision blocking privacy films for flat glass (architectural) window glass applications includes traditional window frost and sandblast films as well as patterned, textured and color window laminating films. Looking for something a little less private that you can see through? Check out our semi-privacy decorative films category for patterns that reveal varying degrees of view. Other categories to help you refine your search include: Colourful, Geometric, Embossed, Light Duty, and more! If you require total privacy, light-blocking opaque films please click here or on the link for Opaque Films below. Available Width: 60" Attractive matte frost privacy film with pattern of fibrous strands. This film offers very good light flow and privacy characteristics. Neutral film appropriate for many decorative applications. 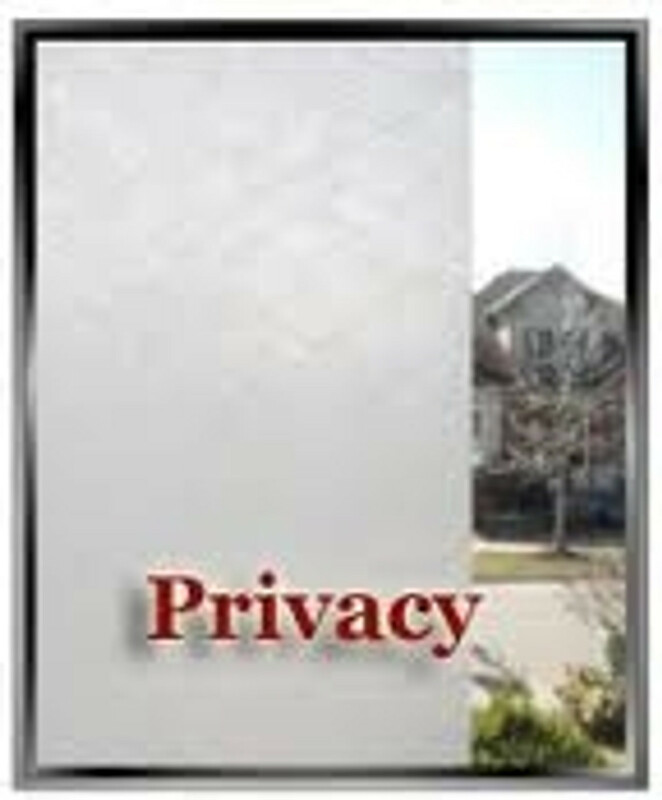 Available Widths: 48 and 60" Excellent privacy film alternative to classic frost. An excellent privacy film allowing good transmission of light. It is low tack version of the original Silky Matte.